With the rise of OneDrive, Google Drive and other cloud services, the options for storing media outside WordPress are ever-abundant. Nevertheless, having your files scattered is hardly desirable. While the advantages of cloud services should be embraced, it is also desirable for files to be integrated with your WordPress blog. 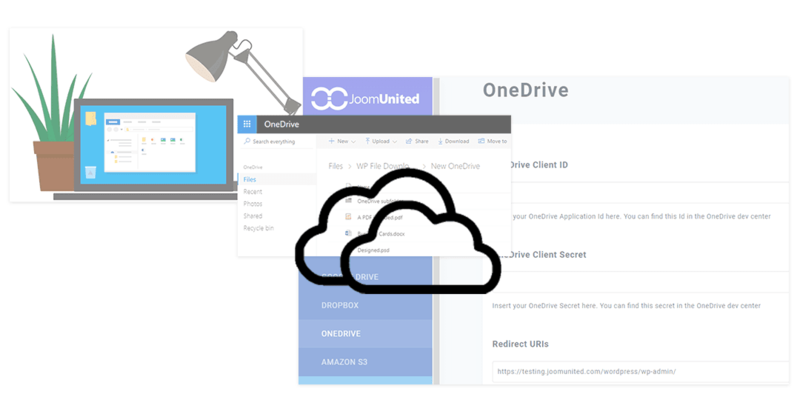 WP Media Folder’s Cloud Addon is JoomUnited’s answer to integrate services like OneDrive with your WordPress website. The WordPress plugin requires just a one-time setup to establish the connection between OneDrive and WordPress. Once integrated, the WP Media Folder plugin works on your behalf to keep the two in perfection synchronization. Before benefitting from the integration of OneDrive with your WordPress website, it is necessary to complete the initial setup. 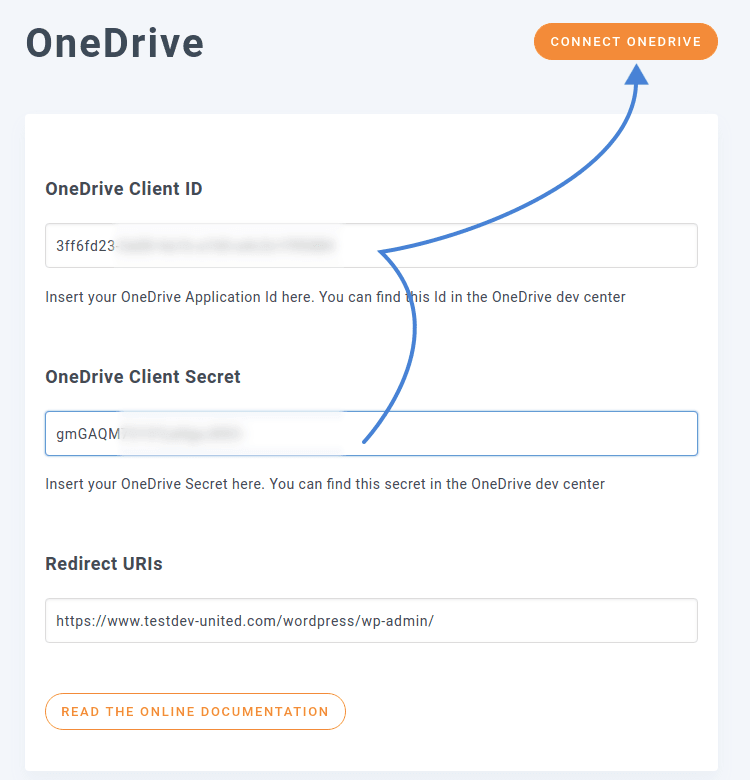 Establishing a connection between OneDrive and WordPress is extremely simple. 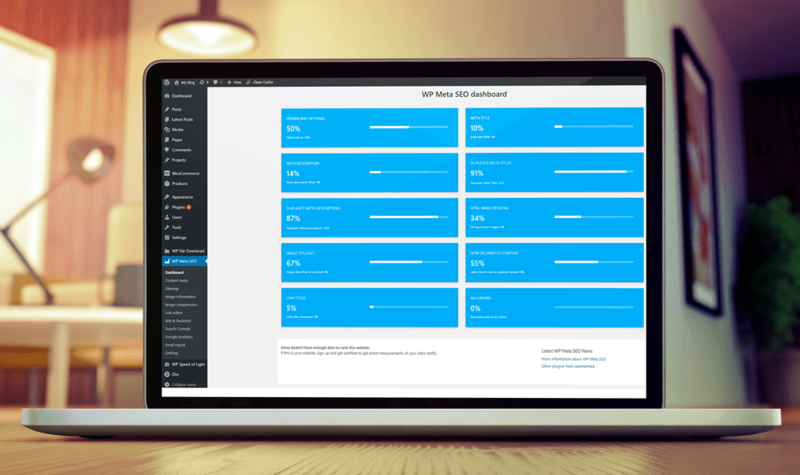 The process allows your OneDrive library to integrate seamlessly within Wordpress! The settings that are necessary for the connection are listed in your WP Media Folder settings page, in the Cloud menu’s OneDrive tab. 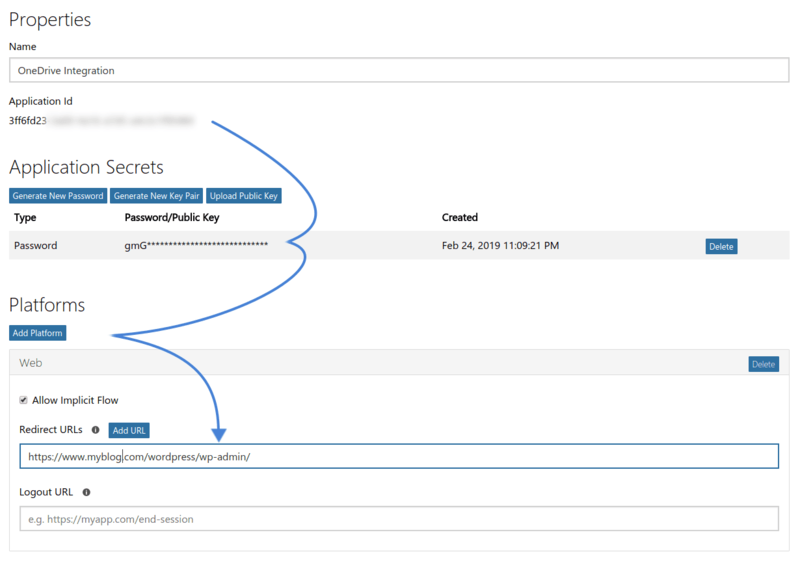 To connect your OneDrive account with WordPress, you only need two values - the Client ID and the Client Secret, both of which can be obtained from Microsoft’s application development portal. To start the OneDrive integration process, create a new Microsoft application. This is as simple as inputting the name of the new OneDrive application. Upon submitting, you will be redirected to a new page, which includes your application’s settings. This is also where you will set up OneDrive to connect with your the WordPress plugin. The Client ID is already available from this page as the Application ID. Click on the generate new password button to retrieve the Client Secret; make sure that you copy the password and save it in a safe place because it is otherwise irretrievable. The final step on Microsoft’s app development portal is to add a platform for the application. 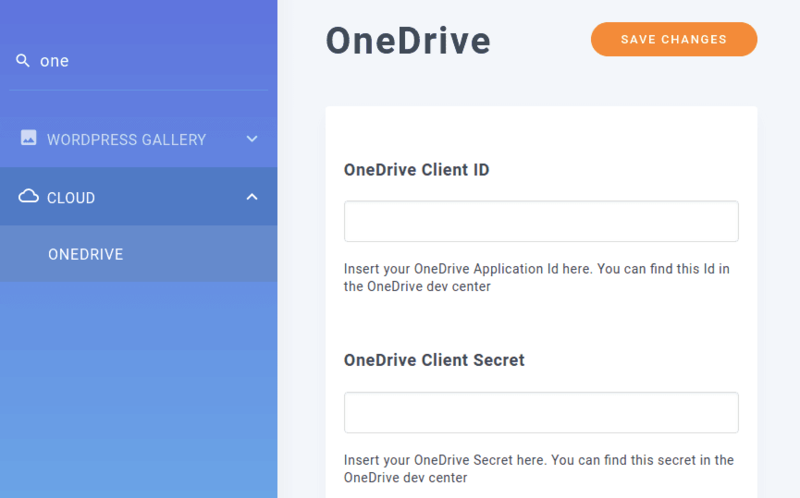 This type of platform is what will handle the connection between OneDrive and the WordPress plugin. Thus, click on the add platform button and choose the web platform. The redirect URL should be the same as the one in your OneDrive settings page in the WordPress plugin. Back on WordPress, insert your OneDrive Client ID and Client Secret into WP Media Folder Cloud Addon’s settings page and save changes. To conclude, save changes and then press on the connect OneDrive button to integrate the service with WordPress, approving the application permissions when prompted. With the connection established, you can now dive into your new OneDrive integration! WP Media Folder’s Cloud Addon adds a new tab in your media library - OneDrive. 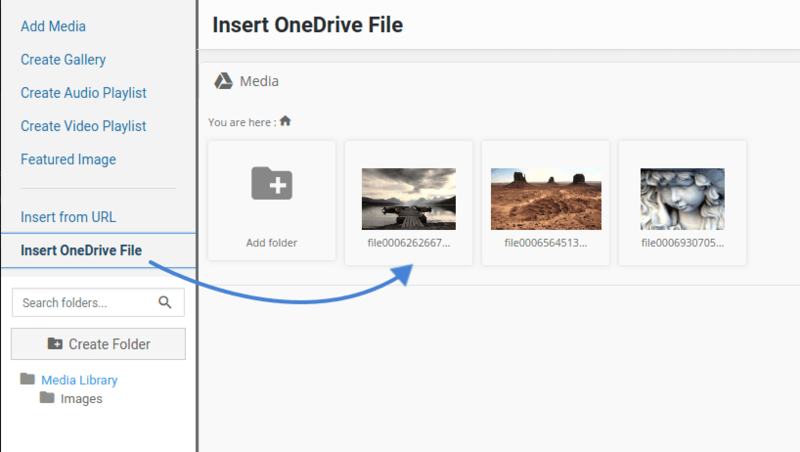 Once the OneDrive connection is live, this tab allows you to access your cloud files directly from WordPress to add, edit or remove media. Most importantly, the workflow is exactly the same as the one for the Dropbox and Google Drive integration services, ensuring that there is no learning curve if you’ve used other cloud services with WordPress. Thanks to the OneDrive connection, WP Media Folder’s cloud plugin can keep the cloud files synchronized with WordPress. This means that when you upload, modify or remove media from your WordPress website, the changes are reflected on your OneDrive account. In similar manner, if you add, edit or remove a file from OneDrive, your WordPress website will also adapt. That said, the integrated OneDrive files have a slightly different behavior than interactions with regular media through the WordPress plugin. When you hover over them, you can change their name, delete, download, or preview them. If you click on files, you can import them into your WordPress media library, ensuring that no changes affect their availability. Most importantly, how do you use OneDrive files from the WordPress plugin? When inserting new media, you will notice that a new area has appeared courtesy of your new OneDrive connection - the aptly-named Insert OneDrive File section. From this area, you can navigate through your media library on OneDrive and pick the files to include in your WordPress post or page as you would normally do with regular media files. Organized media files are not only a convenience, but a necessity. As your WordPress website grows, so does the burden of having everything structured neatly; having your media scattered across different services can only stifle your productivity. With WP Media Folder’s updated Cloud Addon plugin, you’ll have your OneDrive files integrated as if they were normal WordPress content.